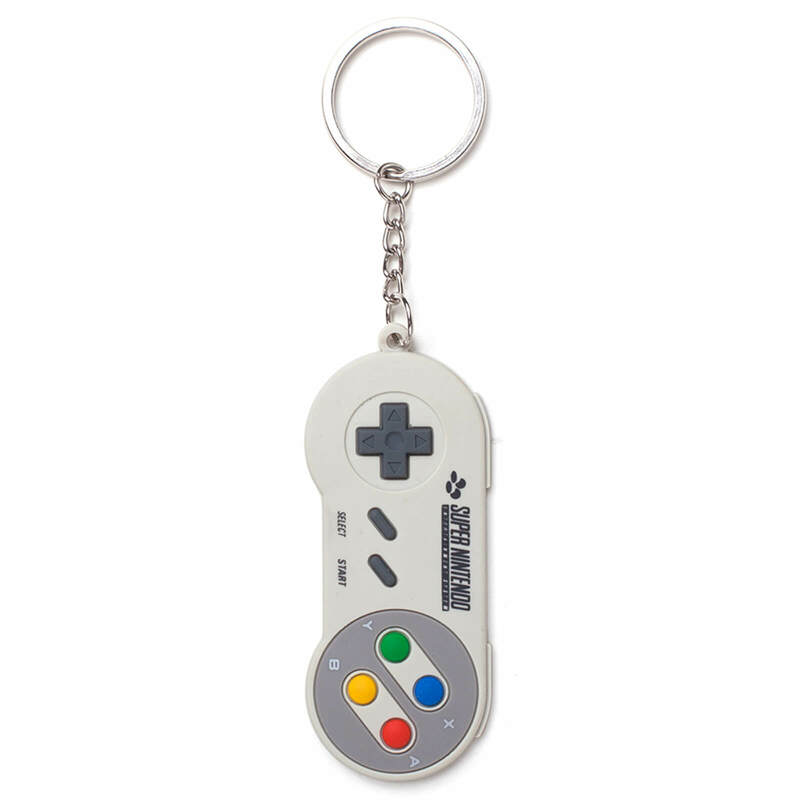 This rubber keychain features the much loved and classic Super Nintendo Entertainment System controller. Accessorise your keys with this classic Super Nintendo Entertainment System controller. The rubber hole for key ring is not durable and is succeptible to breaking with use. Poor choice of material, should have used stronger material. Great gift for a Nintendo fan. Great product, nice quality. Ideal for any retro Nintendo fan!